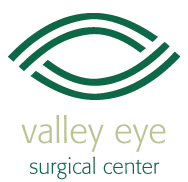 The eye doctors at Valley Eye Surgery Center are located in Bethlehem, Pennsylvania. Our surgeons are the best ophthalmologists in Pennsylvania due to their education and experience. Below we have listed all of our physicians who are ready to help you with you eye care needs; the caring staff at Valley Eye Surgical Center will ensure your experience is a successful one and it all starts with finding the right eye surgeon for you. To learn additional information about a potential doctor, please click on the doctor’s name.